Nut butters have been an all time favorite for many generations. We loved it on soft bread mixed with jelly or jam as a kid. We started dipping apple slices and celery sticks in it as a teen for an after school snack. And we may have tried it on a rice cake or between some crackers in our adulthood. We’ve tried it creamy, chunky and may have even grabbed a jar that had flavors of chocolate and spices added to it. No matter what food items you chose to partner the nut butter with, you aren’t unfamiliar with the idea. The most common nut butter is peanut butter. Because it has been popular for so long, it is produced by many different suppliers and is available in many locations. This poses a problem when many of these manufactures choose to add ingredients that create a longer shelf life. Sugar, salt and saturated fats are common ingredients added to enhance the flavor of peanut butter. These ingredients have been linked to health issues regarding the heart and blood pressure. This is ironic because many people consider peanut butter to be a healthy snack. If you aren’t paying very close attention to the labeled ingredients on your favorite brand of peanut butter, you could easily be doing more harm to your body than intended good. Almond butter is a great alternative for that traditional use. It can be used in all the ways our beloved peanut butter can and is a healthier option. The process of creating almond butter is very similar to that of peanut butter. The nuts are ground until the natural oils are released and a creamy (or crunchy if you prefer) butter is created. But, because almond butter isn’t as mainstream, it isn’t as likely to contain the ingredients used that create major health issues. This does create a slight increase in the cost of the product, but your health is definitely worth that small investment. It may also be hard to find this product on the shelf of your local grocery store because it is less commercially available. If you find this to be the case in your area, seek out a health food store for your purchase. It may cost more than peanut butter and may be a bit harder to find, but the health benefits of this alternative are worth it. Most almond butters are minimally processed which means that many of the vital nutrients are still in tact for consumption. This enables you to get the most benefit from the almonds and indeed makes this a real health food. Nut butters can be made from virtually any nut. Peanuts, cashews, Macadamia nuts, hazelnuts and pecans are all popular options for nut butter recipes. However, almonds are the most nutritionally dense nut of all, giving you more minerals and vitamins in each calorie. Like all-natural peanut butter, almond butter is high in protein and is an excellent source of fiber. 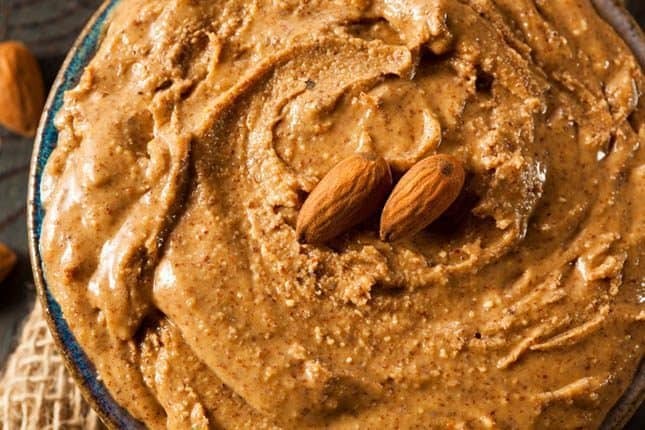 You can get 7g of protein from just two tablespoons of almond butters, and because they are also packed with fiber, they are great for promoting healthy digestion. 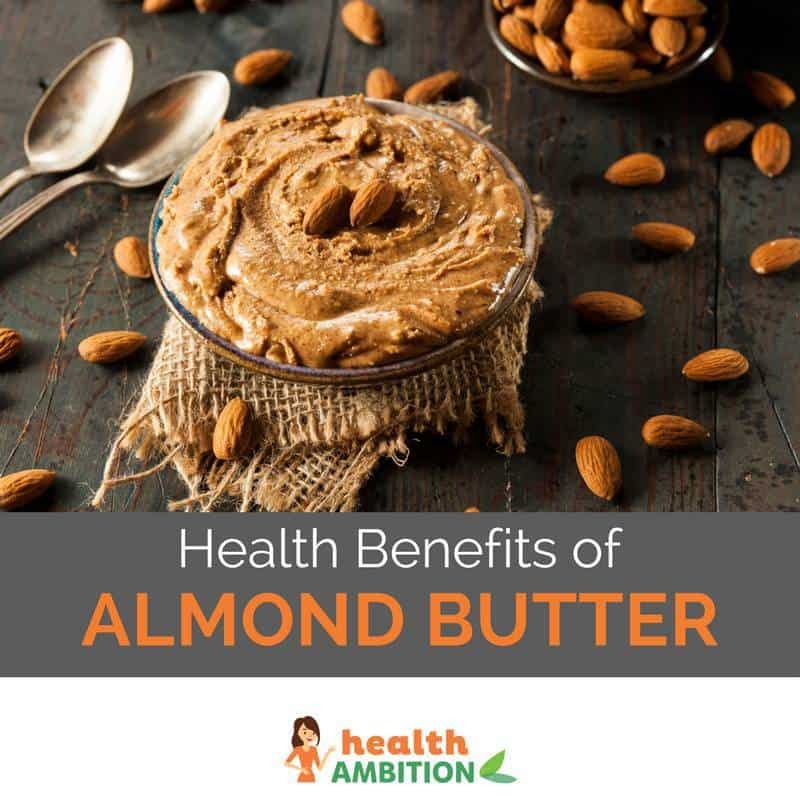 However, additional nutrients like Vitamin E, Magnesium and Iron are also grand in almond butter, which adds to the list of why this is the nut butter of choice for health conscious individuals. Switching to almond butter will help provide antioxidants to protect your cells, stimulate the function of your nervous system, support your metabolism and promote healthy transportation of oxygen. Almonds are considered a “brain food”. This comes from the high calcium and copper content that this particular nut has been blessed to possess. Calcium and copper are players in the function of brain cells and also help to keep your nervous system in check. Calcium also aids in the function of your muscle and helps to support strong and healthy bones. With both of these minerals packed into this nut choice, almond butter makes for a great food choice to incorporate into your healthy lifestyle. Almond butter also contains a nice dose of healthy fats. Unsaturated fatty acids are great for cholesterol levels and promoting a healthy heart. They are also an easy way to improve energy naturally. 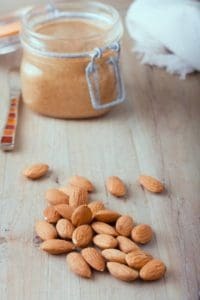 Aside from the large nutritional benefits, almond butter is the better option when compared to peanut butter because there are less people that prove to have an allergic reaction to raw almonds. On the other hand, many people have proven to have food allergies specially related to peanuts. Natural almond butters that are free from any additional added ingredients can be purchased for use or, if you’re a DIY kind of person, you can create your own from a very easy process. Place almonds in food processor, close the lid and process for about 30 minutes. Be sure to stop the process periodically to scrape the sides so that the almonds can continue to flow smoothly around the blades. After the time suggested, the oils from the almonds will release and create a creamy homemade almond butter. Once you’ve completed this process, transfer the contents into a glass jar with a lid. For a longer shelf life, be sure to store your almond butter in the refrigerator. 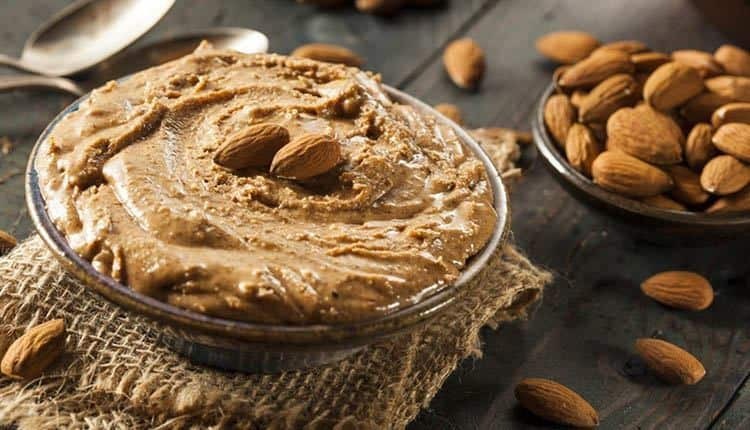 Whether you choose to make your own homemade almond butter or purchase your favorite brand from a store, you can enjoy this nutritious and delicious treat in numerous ways. The next item you reach for your common household nut butter, consider all the added benefits of almond butter and consider this healthier alternative.